Hand made books are on my mind and this post shares some links to hand made book sites that I really like. I was eight years old when my mother taught me how to sew folded pages into a book. I then sewed a cover for the book from cardboard covered with my favourite fabric. The book was then filled with my pencil handwriting - I wrote a precis of the book, A Horse and his Boy by C S Lewis - then my favourite book. Today there are wonderful papers, threads, cover fabrics and paints, hot glues and findings which mean that anyone wanting to make their own books has a lot of help - yet there are books hundreds of years old which were made only with natural materials of cloth, paper, leather and animal glue. Why bind books by hand? Printed books where the covers have deteriorated can be given durable covers - Aren't there some wonderful books in paperback that fall apart so quickly? They can be saved by binding with hand made board, cloth or leather covers. Binding your own books is a very satisfying hobby and can make you money. Hand made blank journals are a delicious treat to write poems, experiences, stories and thoughts in - something for your grand-children to inherit. Teo Studio make hand made books of a high quality with leather covers. I chose them at random - as excellent practitioners of the book binder's art. Leather is wonderful. I've got a Kobo with a leather cover, how delicious it is to hold - and via smart technology the cover turns the device on and off when I open and close the cover. 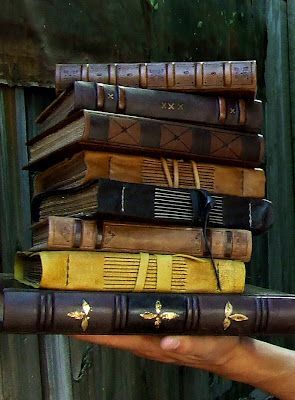 Leather bound books are just as lovely as an ebook reader, whether the book is an old classic you have printed by Createspace.com and then bind a leather cover on yourself, or a book you wrote that you bind, or have bound; all leather bound books are precious. Etsy.com is a terrific place to buy hand made books and journals. You could buy a different item for every one of your friends and family and still have more to discover. NB some links will expire as the books are sold. 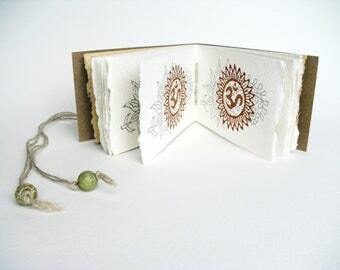 Do you own a hand made/hand bound book? Would you like to? 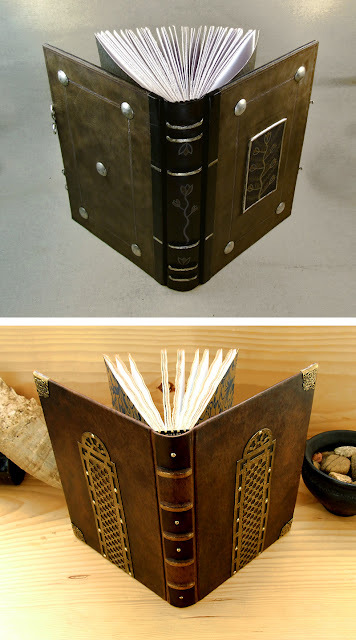 Have you made your own bound book?